Tea tree oil is an essential oil that is added to some skin and hair products. It helps clean the hair and skin and is thought to help fight acne. The oil has many medicinal uses, such as treating fungal and bacterial infections. 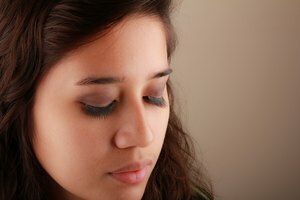 In some cases, tea tree oil may promote the growth of eyelashes. Whether it helps or not depends on why your eyelashes are falling out or failing to grow. Eyelashes are produced by hair follicles on the skin around your eyes. Dirt, dead skin cells and makeup may build up and clog these follicles, making it hard for new eyelashes to grow. Tea tree oil clears away the debris, allowing hair follicles to grow new eyelashes. If you think clogged hair follicles are the cause of your problem, dilute pure tea tree oil with water, and apply the solution to your eyelids daily using a cotton swab. Do not get it in your eyes. Eyelash mites are small parasitic arachnids that attach themselves to hair follicles. They feed on dead skin and oil secretions. It is estimated that 50 percent of adults carry these mites. Eyelash mites may cause itching, skin inflammation and eyelash loss. Kill eyelash mites by using a tea tree oil eyelid shampoo or by rubbing tea tree oil diluted with water on your eyelids daily for at least six weeks. Do not use mascara. it is a breeding ground for eyelash mites. Blepharitis is an infection that causes the eyelids to become inflamed, red and irritated. 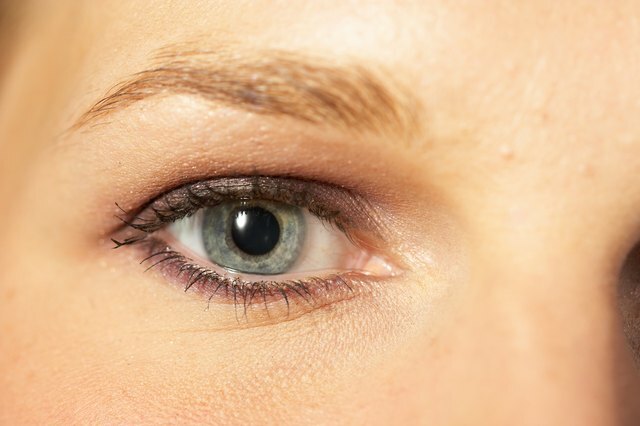 Your eyelids may look swollen, or you may feel a burning sensation. A crust may form on your eyelids. Blepharitis, or excessive rubbing of the eyes caused by the infection, may lead to your eyelashes falling out. Tea tree oil has antibacterial and anti-inflammatory properties, which may clear the infection and soothe itching, allowing your eyelashes to grow back. Contact your doctor if you exhibit any signs of blepharitis to rule out serious infection. Do not use tea tree oil that is not diluted with water or other liquids that are safe to use around the eyes. Ask your doctor about the appropriate concentrations of tea tree oil for your condition. Avoid getting tea tree oil in your eyes; it stings and may require medical attention. Wash your eyes immediately with water if you get it in your eyes. Allergic reactions to diluted tea tree oil are rare. If you are allergic, your skin may redden, swell, itch or sting. If you develop a rash, feel dizzy, or your face, tongue or throat swells, contact emergency services immediately. 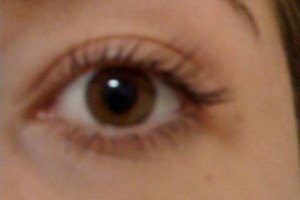 Ophthalmology Web; Eyelash Mites: Symptoms and Treatments; Clark L. Springs, M.D.